Vagabond Tours was established in February 2002, the brainchild of Rob Rankin who had been travelling in Southern Africa with his wife. While there, they saw the safari and overland tours that were so popular and realised that a more adventurous way of seeing Ireland would be a fantastic experience for visitors. 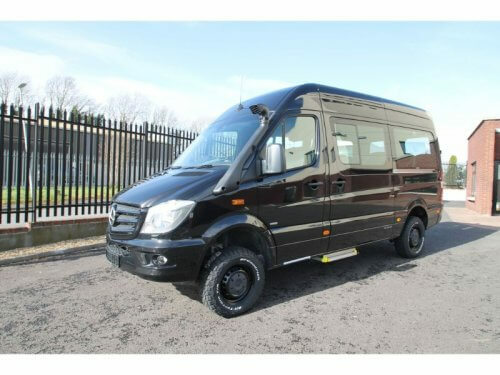 The new vehicle that has been delivered by EVM Ireland will allow Vagabond to explore areas far beyond the reach of normal tours. On occasion, the tour will leave the road behind and drive along beaches, through rivers or up muddy tracks. The Vagabond adventure tours range from seven to 12 days in length and combine an imaginative mixture of breath-taking scenery, relaxing exercise, local culture and history and of course cosy accommodation. The new Mercedes-Benz Sprinter is based on the Euro VI 319CDI medium wheel-base with Common Rail Direct Injection diesel engine. Transmission is a 7-speed G Tronic Automatic gearbox, and the exterior is painted in Mercedes-Benz black metallic. With the huge airflow demands of the engine, a snorkel system that raised the air intake has been added to prevent ingesting harmful elements to the vehicles air cleaner whilst off road. Access to the passenger compartment is via the side sliding door with the aid of an AVS kick step. Original Mercedes-Benz side glazing with heat insulated tinted glass has been specified and the Mercedes-Benz In-Dash air-conditioning keeps the saloon cool. 12 EVM executive class seats finished in half leather and half cloth with diagonal three-point seatbelts and folding armrests on the aisle side were also specified. The saloon floor is completely covered in hard wearing Tarabus anti-slip flooring. 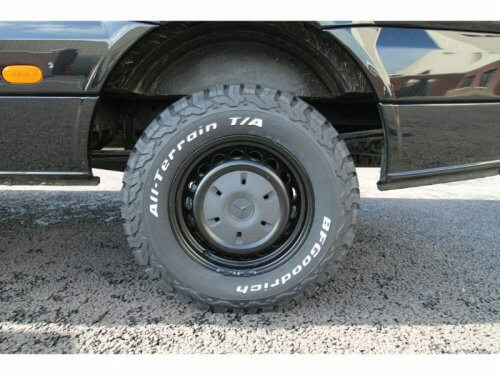 For off-road and all-weather conditions, the vehicle has been specified with BF Goodrich all terrain tyres to complement the raised suspension.